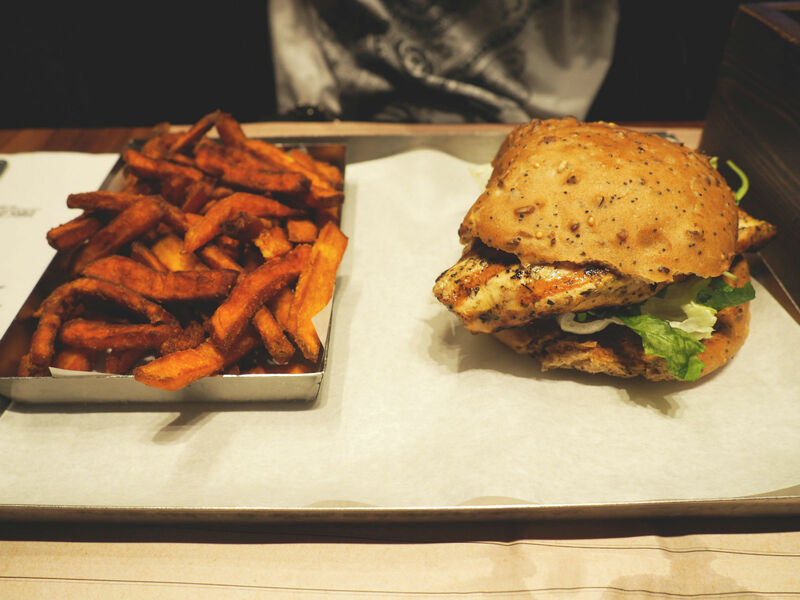 Usually when it comes to burgers, I can take them or leave them. Cue: a huge gasp. They’ve never really done it for me and so burger bars in general have never really been on my radar. 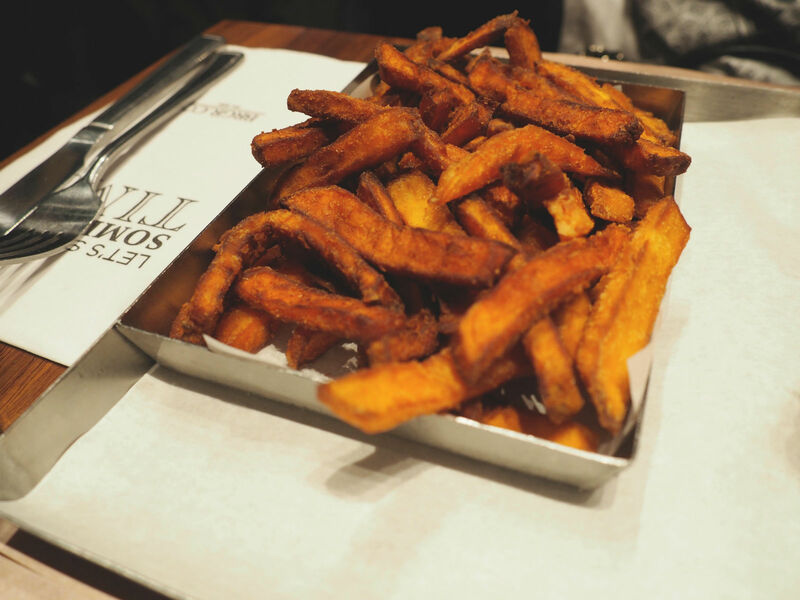 However, when BRGR.CO got in touch several weeks ago and enquired whether I’d like to visit, I was tempted (if I’m entirely honest) by their offering of sweet potato fries. They are my weakness. 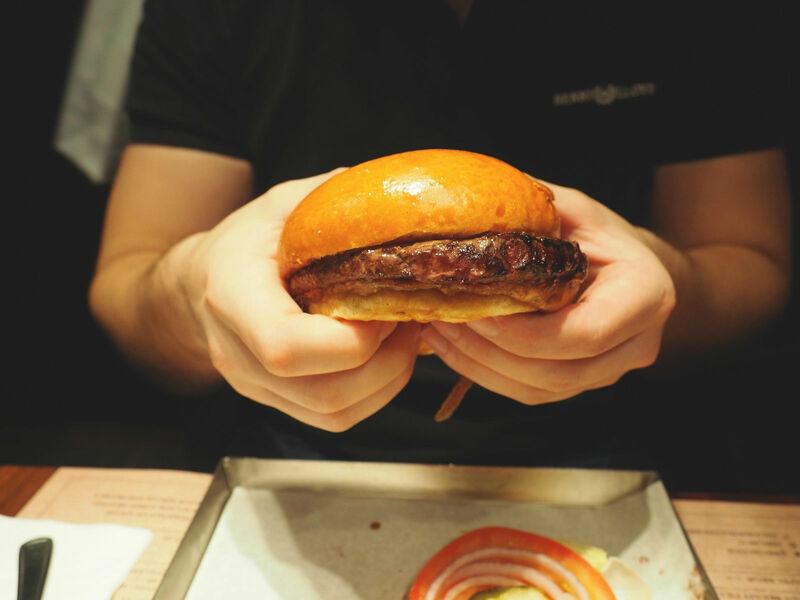 And so, last month – I headed over to Wardour Street to sample what their Soho branch had in store. 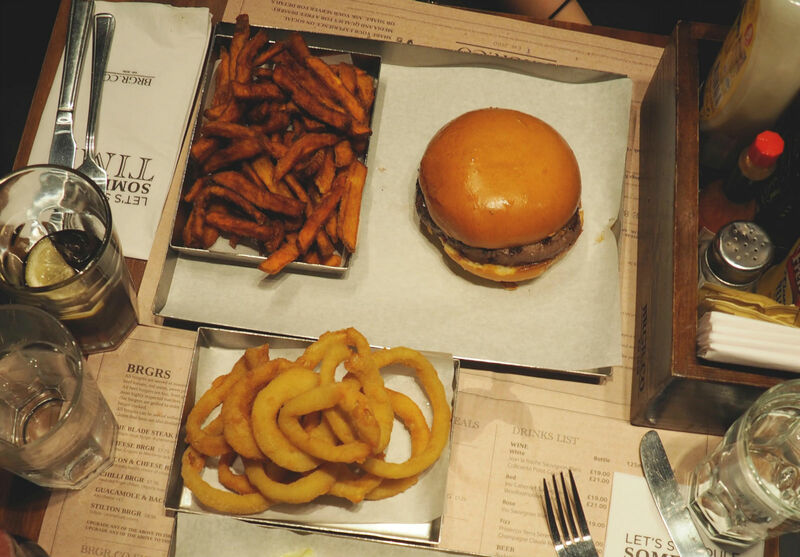 Combining gourmet burgers with a comfortable, informal atmosphere, BRGR.CO is the epitome of what I love about London restaurants. Chilled, welcoming and yet a superb menu with a huge array of tempting offerings, whatever your preferences or requirements. 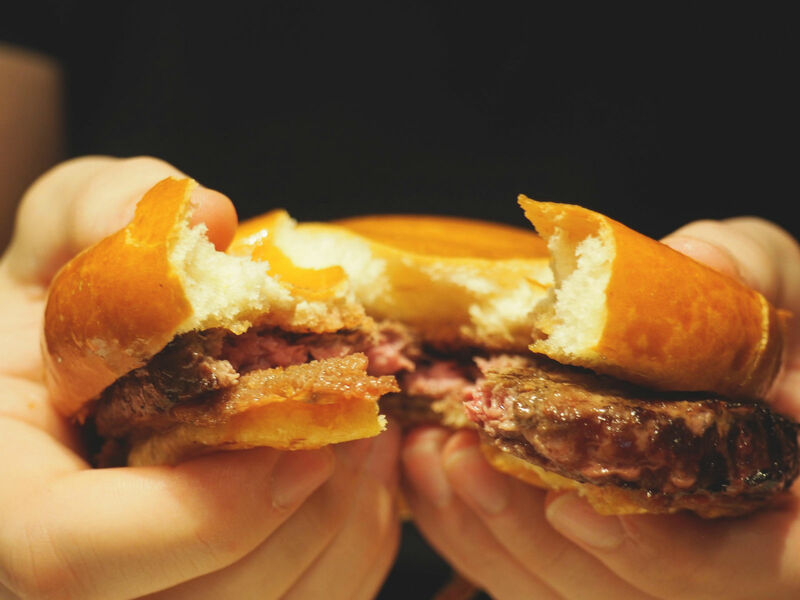 They fulfil Instagram requirements with huge shiny brioche buns – and yet everything tastes as good as it looks. 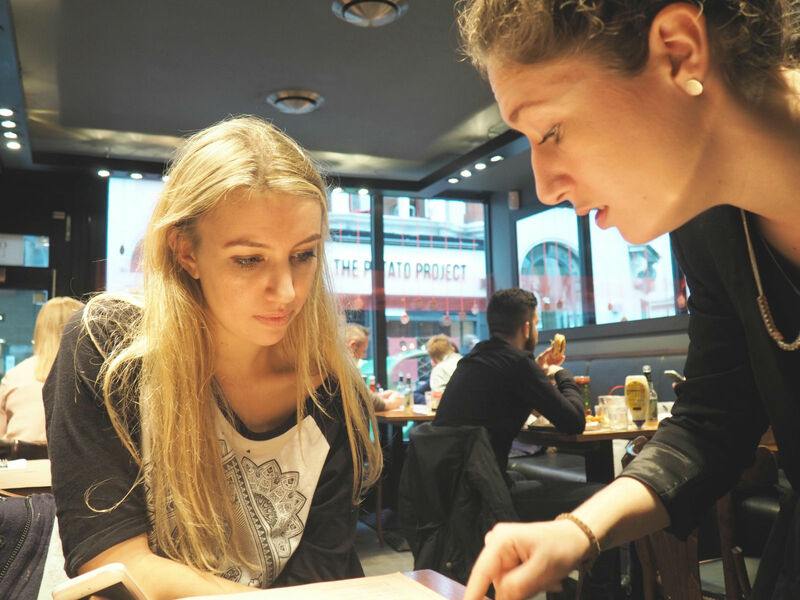 We were ushered over to a table at the back and taken through the menu by the manager, which I really appreciated – since it gave me a chance to ask which aspects were going to be suitable for me (I’m lactose intolerant and don’t eat eggs). 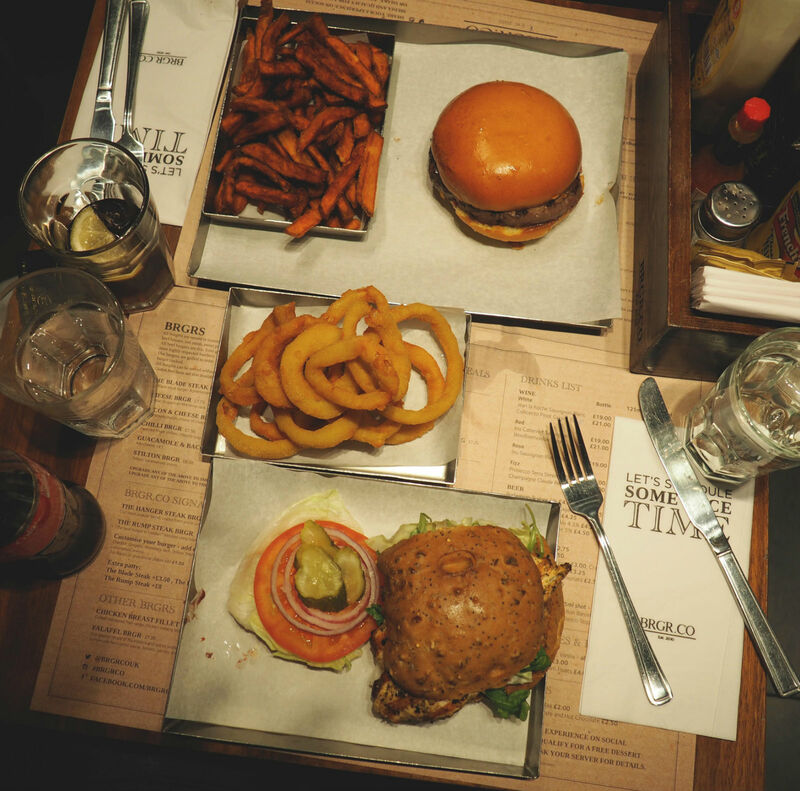 Usually, when I start reeling off a list of items I can’t eat, it’s met with eye rolling or a blank look of confusion (especially during busy periods, a category which this dining experience fell into also), however I was assured that anything could be tailored so that I could enjoy it. For anyone with a intolerance, allergy or otherwise, I think we can all safely say that this is one of the nicest things to hear when eating out. Not being made to feel difficult is one thing, but not being excluded from the menu entirely is brilliant! 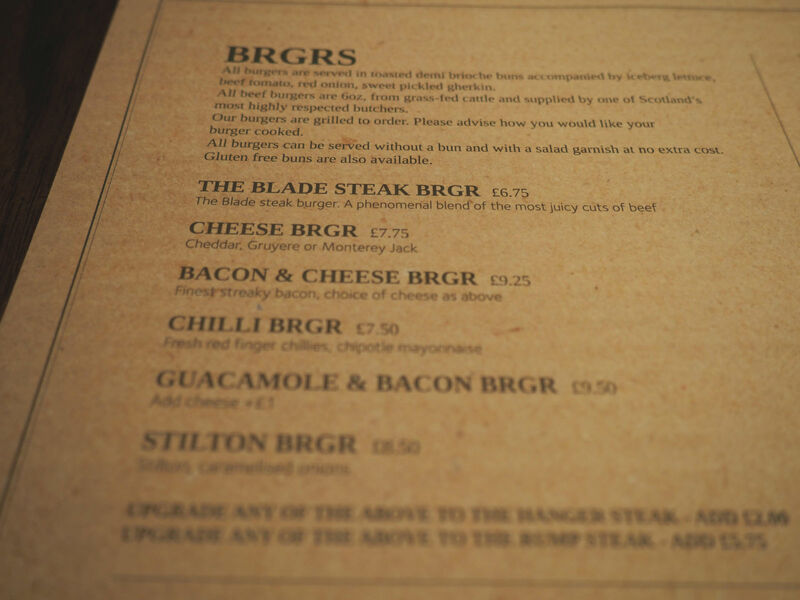 With my mind reassured, we set about choosing our BRGR’s – spoiled for choice! David eventually chose the Hanger Steak BRGER (£8.75) which we were informed was the most popular choice of the branch. Put together from prime-cuts of super tender steak, it was apparently the best he’d ever tasted – and it looked pretty incredible too. 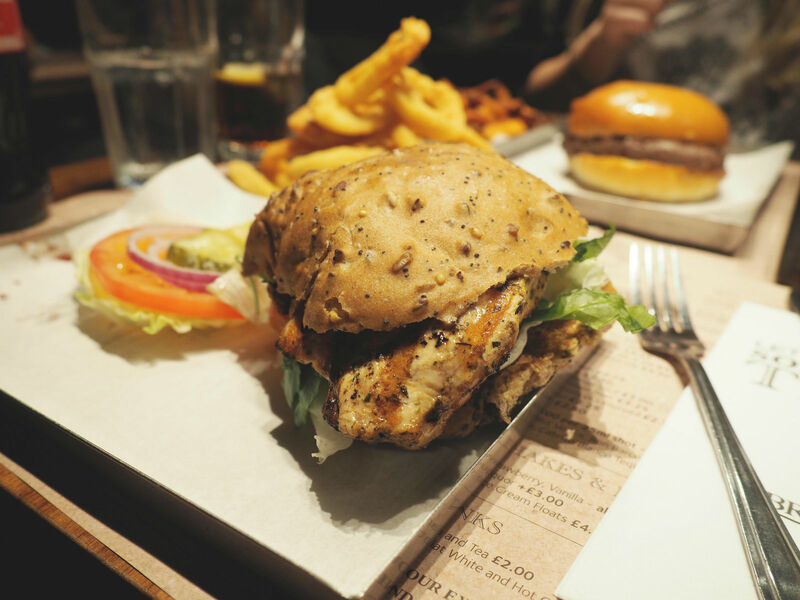 I opted for the Chicken Breast Fillet BRGR (£8.25), which I suppose to the outsider – could seem like a boring option, but when it arrived – it was immediately apparent it was going to be far from it. 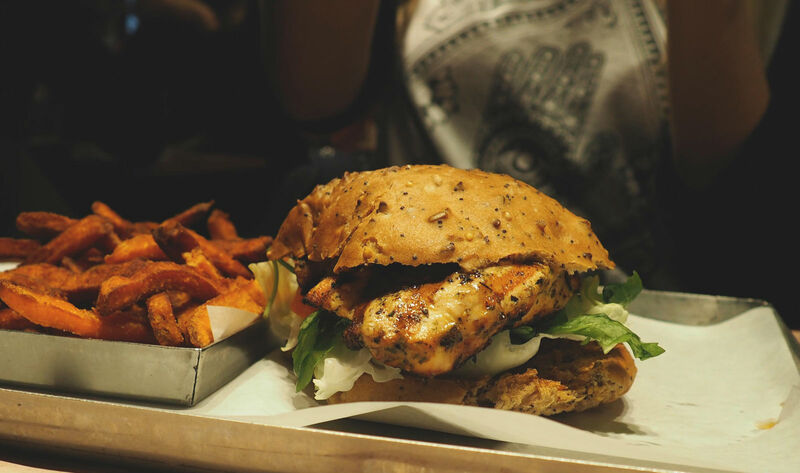 Grilled to perfection, with a slightly crispy outer layer yet tender inside, it was possibly the most flavoursome chicken I’ve had in a very long time. Marinated in herbs and oil (I wish I knew which so I could recreate), I almost didn’t want it to finish. Although the large portion (amazing by London standards) meant that my stomach probably appreciated it being finished. 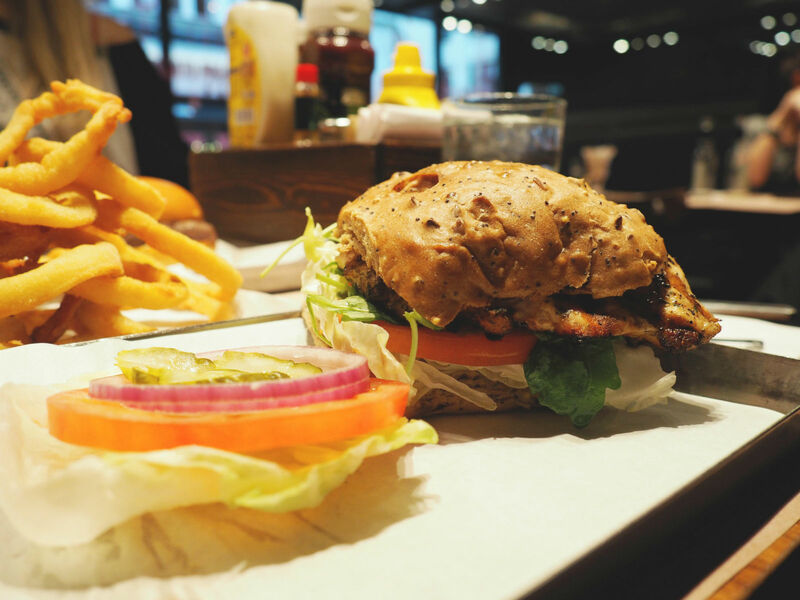 The brioche buns unfortunately have butter in them, so they kindly swapped it for a gluten free seeded alternative, which was just as delicious – and gave the whole dish something a bit extra! 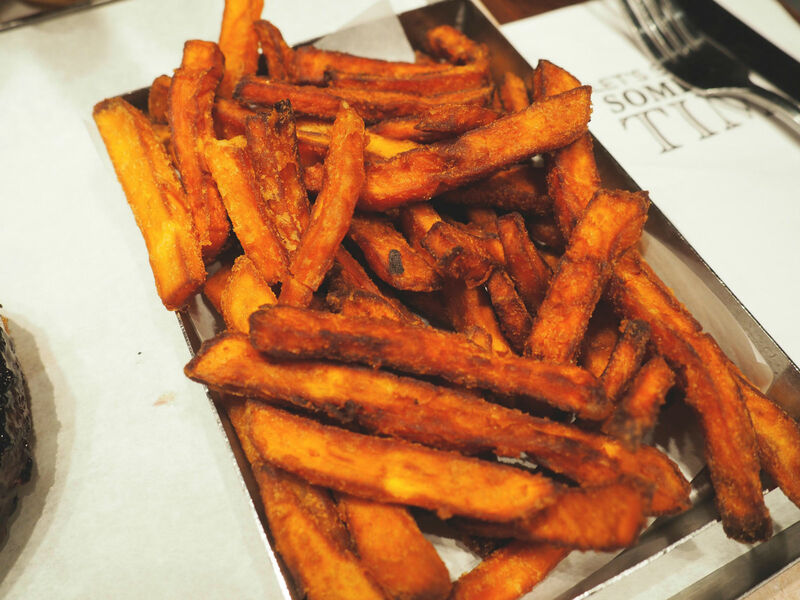 Forever tempted by Sweet Potato Fries (I hope I’m not the only one who thinks they’re the most amazing thing to ever have been created), we ordered a large helping to devour – in addition to some crunchy onion rings. Both were incredible, crispy and deliciously deep fried but without the horrible greasiness that some sides offer. There wasn’t a single one left. The puddings and milkshakes looked incredible (I’ll be visiting again soon to sample those – or at least, photograph them) – however we’d eaten so much, we couldn’t possibly fit anything else in. 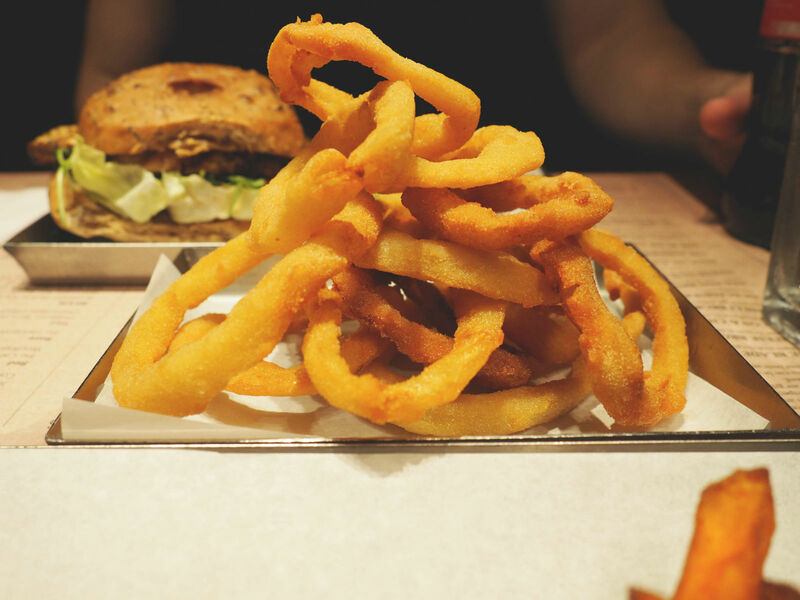 The sign of a good meal – especially if you find yourself still talking about how much you loved your burger after ten minutes of walking away from the restaurant. 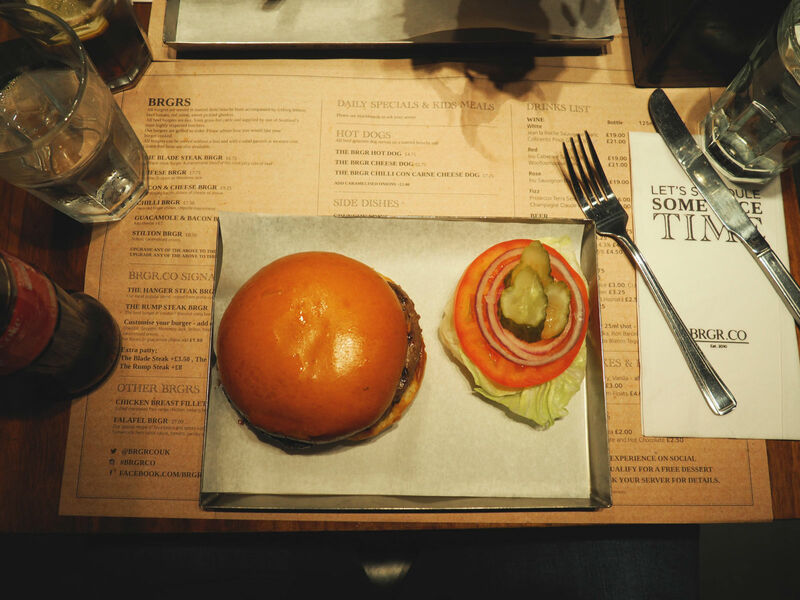 If you’re in the market for a great burger (or should I say BRGR) this is the place for you. They also have a branch in Chelsea (on King’s Road), which I’m sure offers the same standard. I’ve been lucky enough to trial a huge selection of restaurants in London over the years and this one is up there at the top (yet it doesn’t fall into the trap of ridiculous pricing) – so I’d highly recommend a visit. I’m officially a converted burger lover! Who knew? 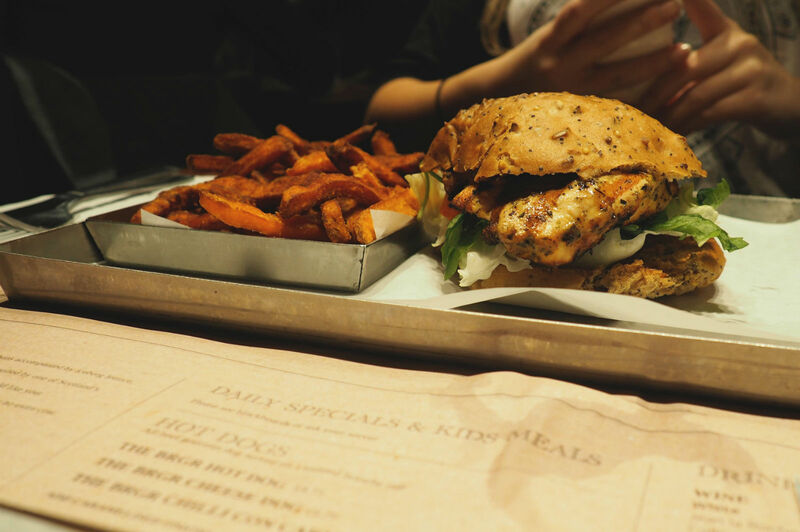 Have you ever visited a BRGR branch before? I’d love to hear what you thought! Next Post Drink your skin beautiful?